Knowing you want a home theater and making it happen are two very different things. 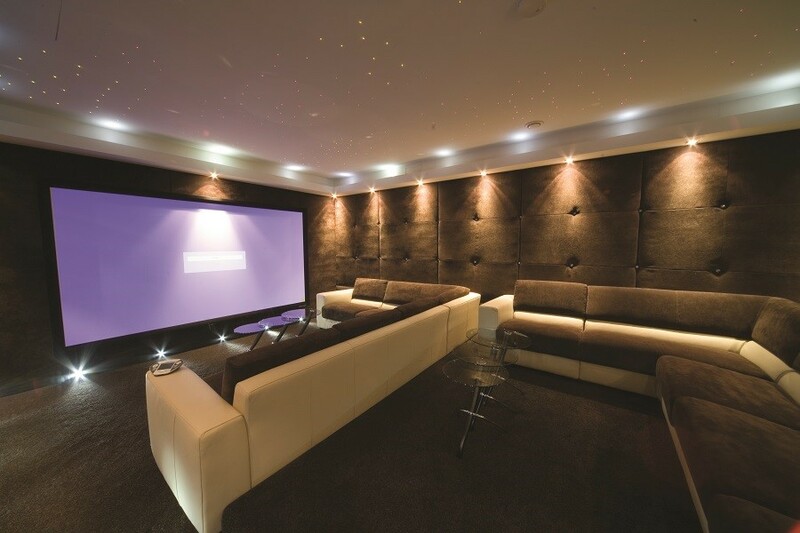 However, the process of upgrading your Scottsdale or Chandler area property with a private cinema doesn’t have to be difficult. As Arizona’s top expert on home theater systems, we’ve designed and streamlined a process for adding fully custom theaters that produce the best visuals and sound quality possible. Below, we’ve boiled down our process so that you can understand what goes into designing and installing the theater of your dreams. When you shop for a new item—a diamond ring for example—there are certain indicators that the stone is quality or not. A knowledgeable buyer will look at the carat, cut, clarity, color and shape. Based on these factors, the person will choose to purchase the ring or not. Going in to a jewelry store blindly will certainly result in a poor purchase. The same principle can be applied to shopping for home theater systems in Scottsdale, AZ. In this blog we will give you some general guidelines on what to look for when purchasing a projector. In subsequent blogs we will share with you some tips on picking a surround sound system and control system.